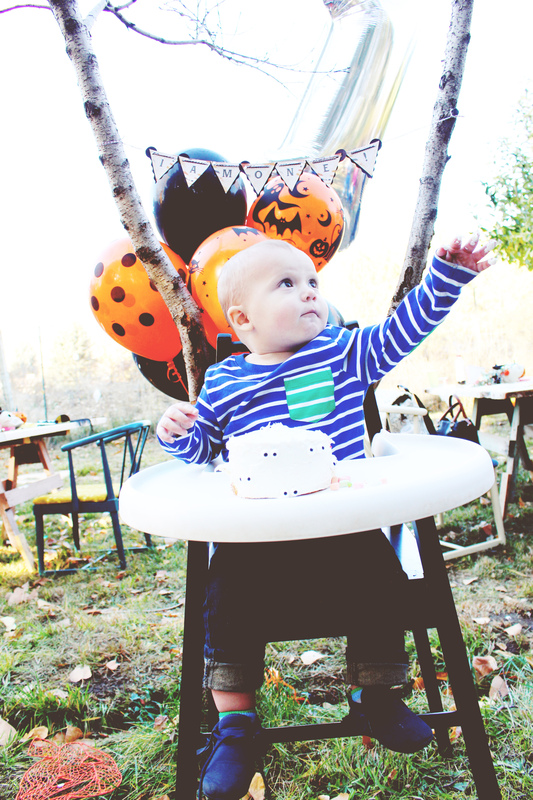 This ONEderful halloween carnival birthday party was to celebrate my baby boy turning one and is full of colorful, whimsical, and spooky details! 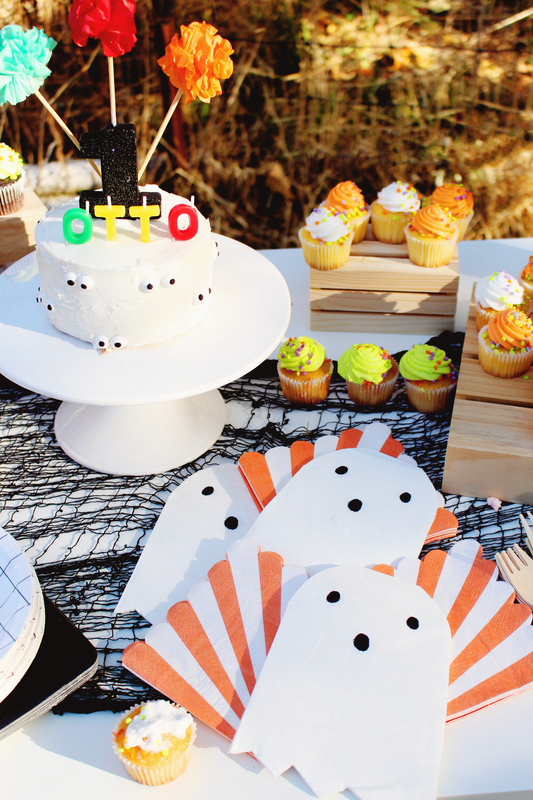 Now that it’s been almost a whole year, I can share Ottos halloween carnival birthday party! I know I could have shared earlier, but I wanted it to be at a time of year that made sense, so I’ve held onto it for all this time. And, looking at these again after a year was so enjoyable! 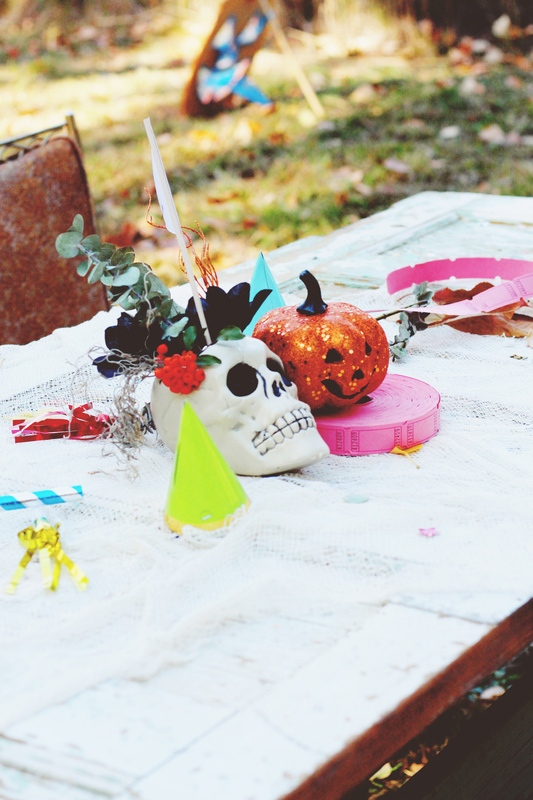 Planning a halloween carnival birthday party was so much fun and I love how the colorful, and a little bit spooky, decorations turned out. 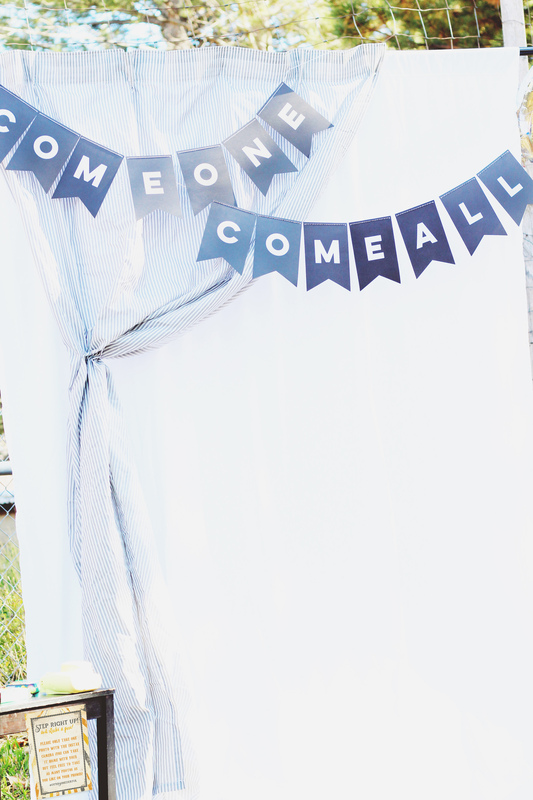 One thing I wish I could remember better is to take photos of my invitations at the party! I love when I do that, because they fit right in amongst the decor that I picked out to match them. 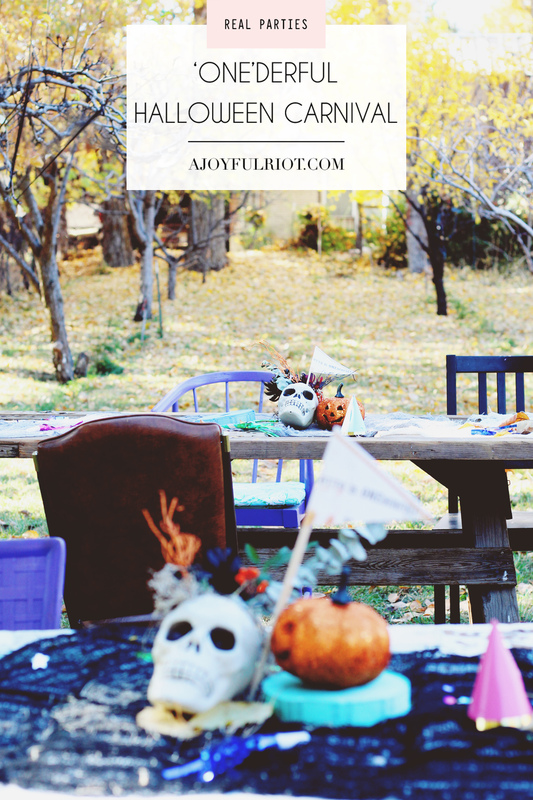 But the invite for this halloween carnival birthday party is available right here and I used the same motif through the rest of the party printables. 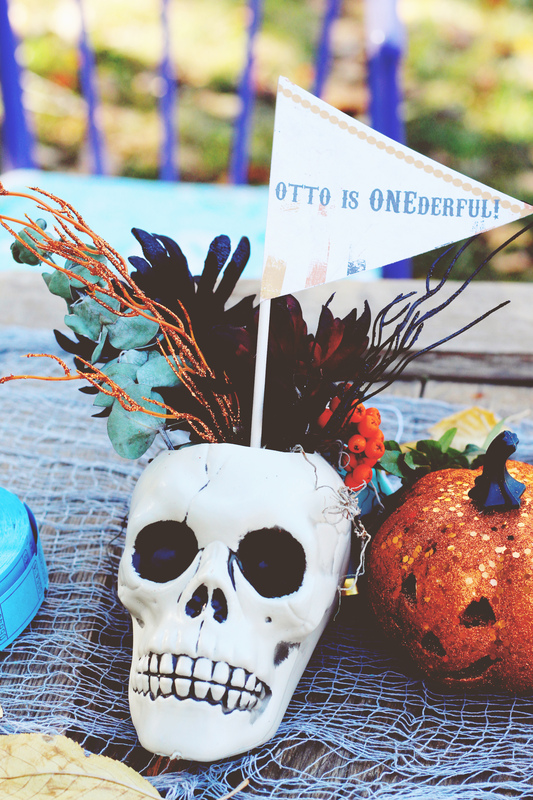 Since it was a carnival theme, I went with the phrase “Otto is ONEderful!” throughout it because it felt like the kind of phrase you’d see on a flyer for a circus or something, and of course I loved the pun! 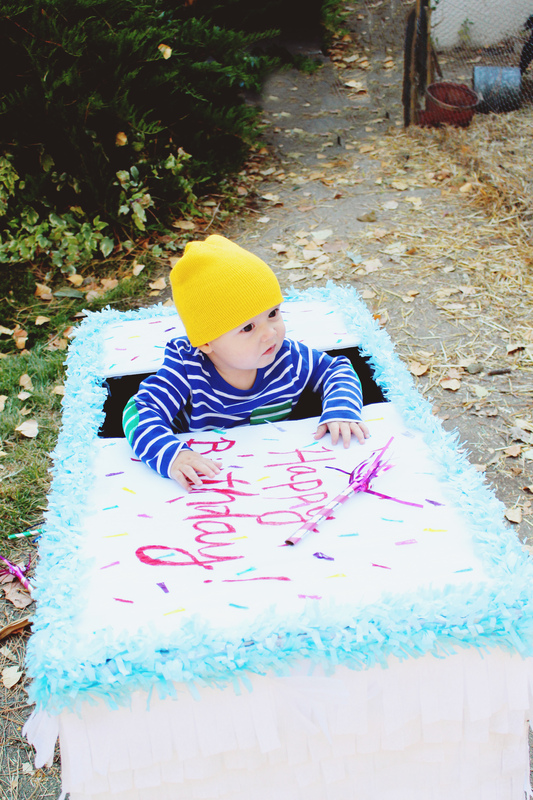 My son’s birthday is Oct 17th and honestly, I never thought I’d do the whole Halloween-themed thing for him. But I absolutely LOVE Halloween and my husband and I were planning a Halloween party with our friends for that evening. 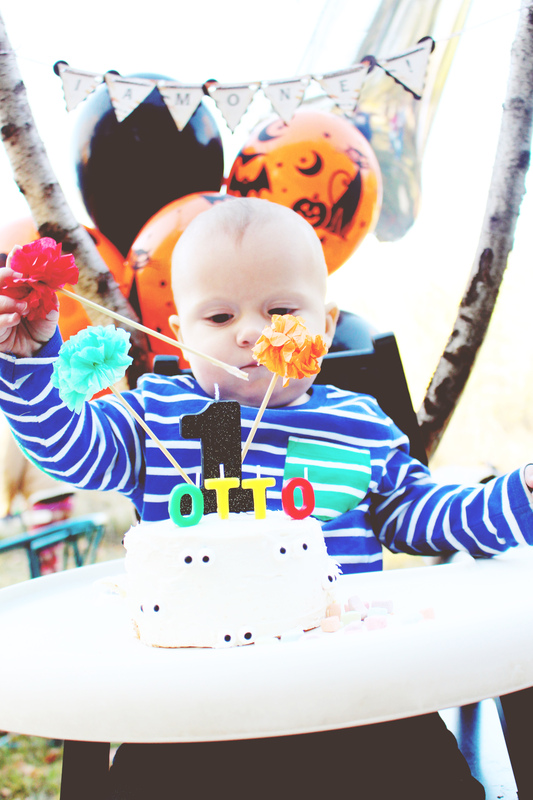 So, I decided using Halloween decorations for Otto’s beforehand would be fun and versatile to both parties. 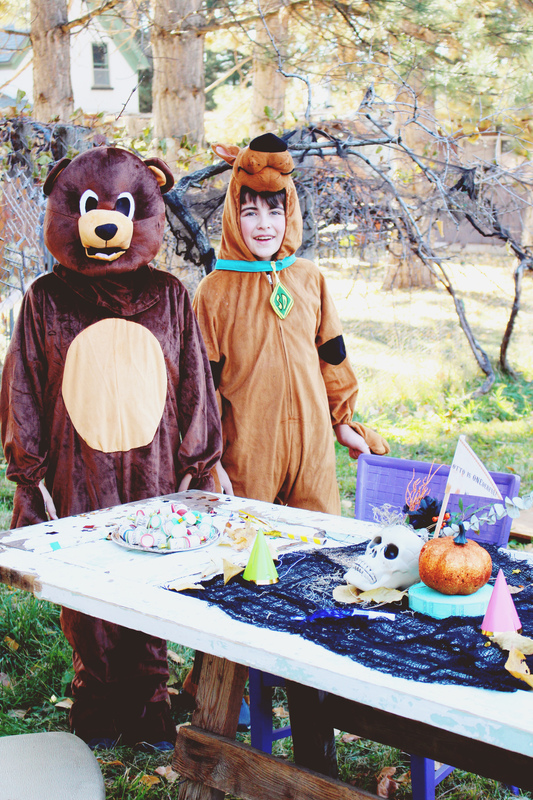 There was silly puns, potion making, games, a petting zoo, and costumes! 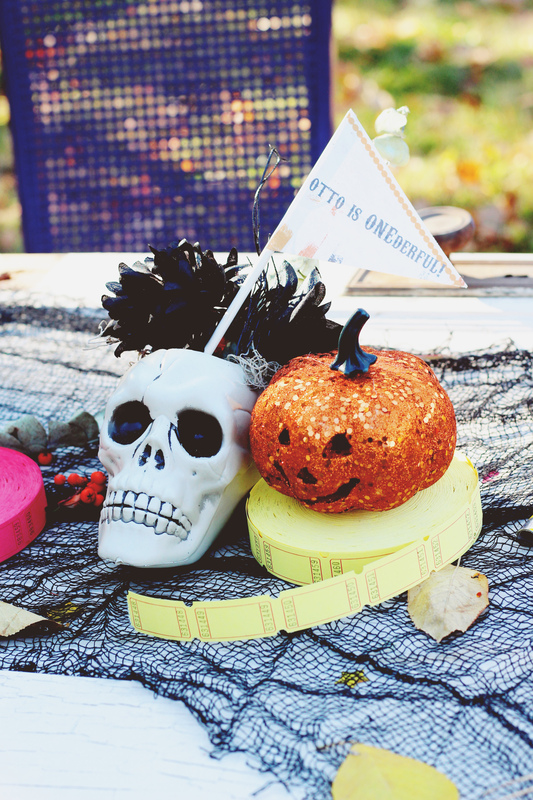 Check out all the silly, spooky fun by clicking ‘read more’! You wanna know what was REALLY FUN about our petting zoo a.k.a. 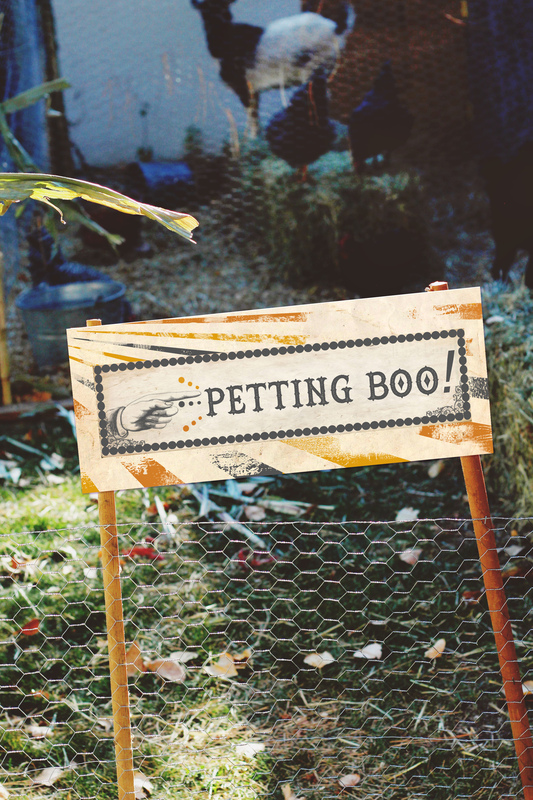 petting BOO!? All the animals are ours :D ! 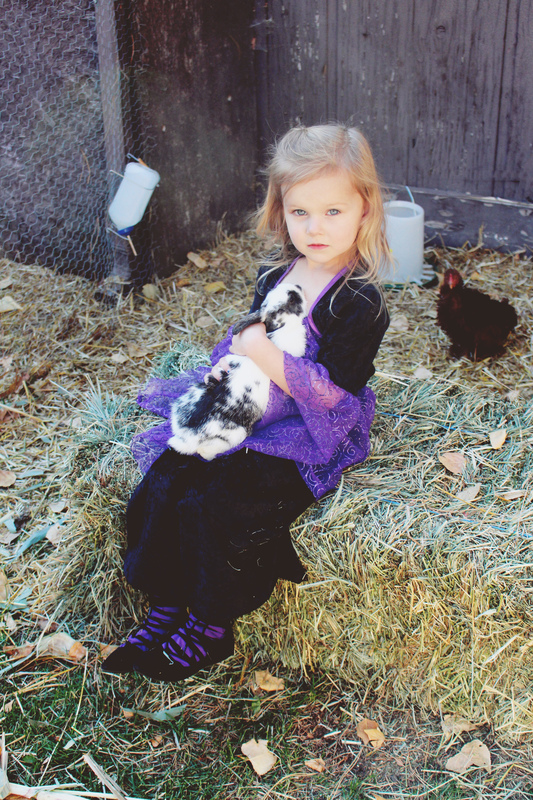 At the time we owned 2 goats, 5 chickens, 2 cats, and 4 bunnies! (Now we’re just down a cat and…all the bunnies :/ although we think we’ve still seen them around different parts of the neighborhood haha. 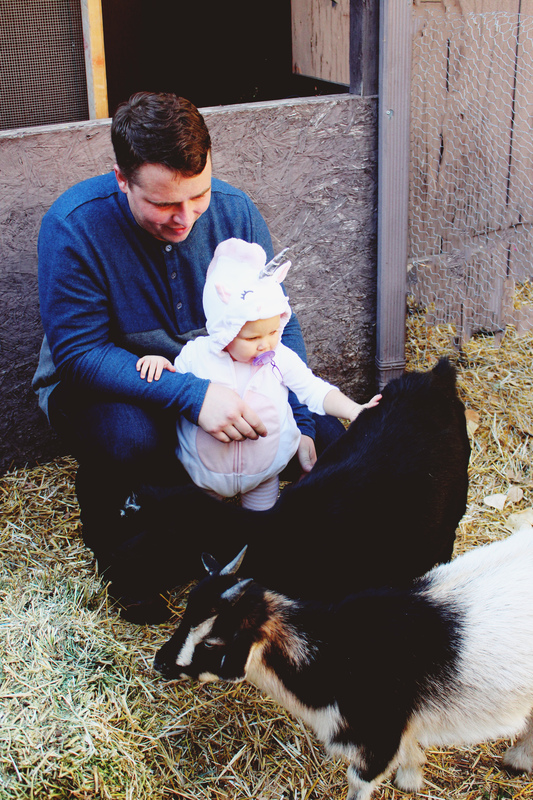 If we get more, it won’t be until we have an enclosed space for them…) So putting together this petting zoo was quick and easy! The hardest part was keeping our goats inside it haha. 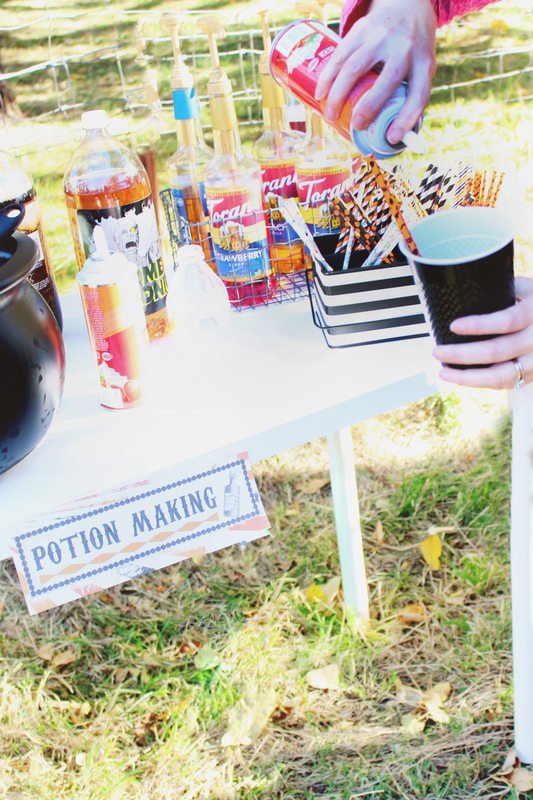 We also did an Italian soda bar, but obviously called it potion making. 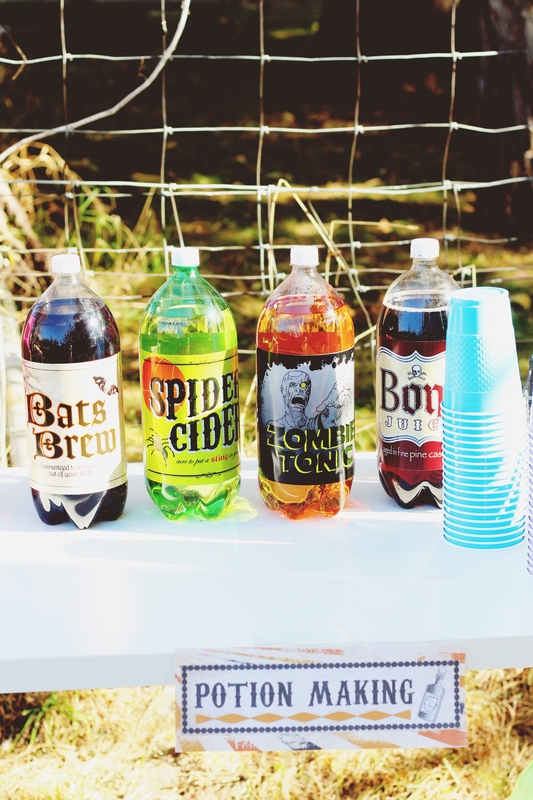 For ease, we added fun Halloween labels to 2 liter sodas and then had a few flavored sugar syrups and some whipped cream. I also did this (sans the Halloween labels) at my brother’s Mad Hatter Tea Party and it’s been a HIT both times! People absolutely love coming up with their own fun drink concoctions! I highly recommend this soda bar. We also did hay rides! 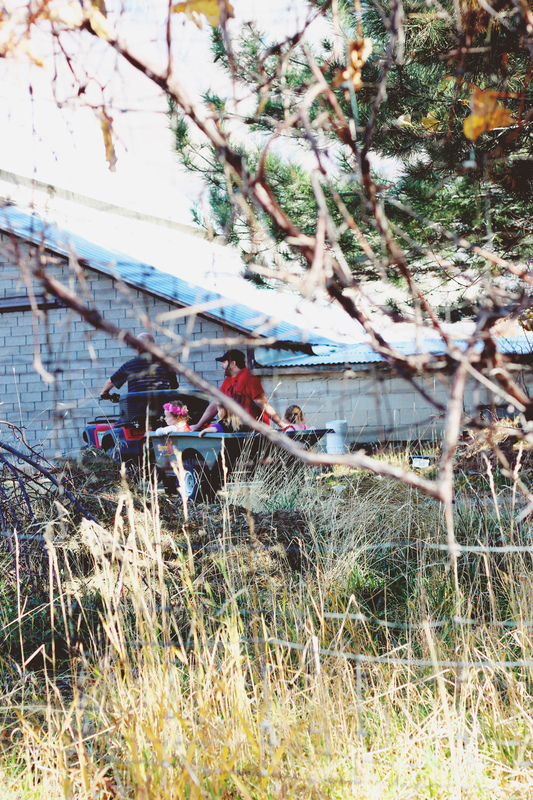 To do these, my father in law brought his four wheeler and a trailer/wagon that hooks up to it, we put some hay in that and at least 4 people could ride at a time. It was a blast! 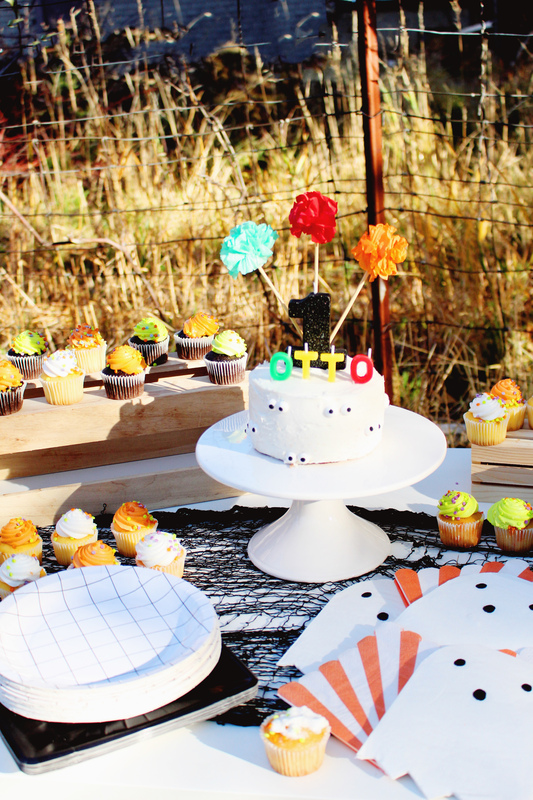 I really REALLY wanted this party to be outside in our orchard to give it a fun fall vibe! And I’m so glad I did, because the orchard was torn down only a few months later! 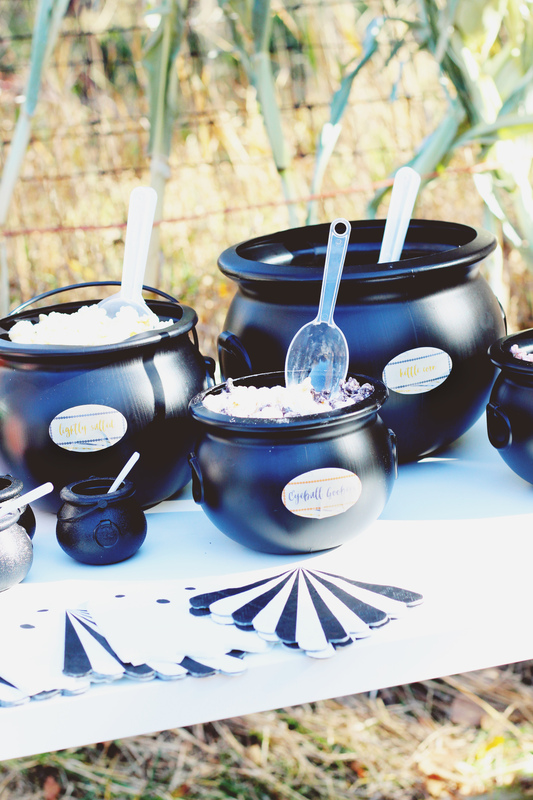 It was my last chance to use it for a party and luckily, we had a lovely fall day so it worked out so well. Just in case of cold weather, I set up metal bins around the property and filled with wood and fire kindling. We didn’t need them for it though! I hung lights on several tree trunks and spider webs on some of the bare trees. 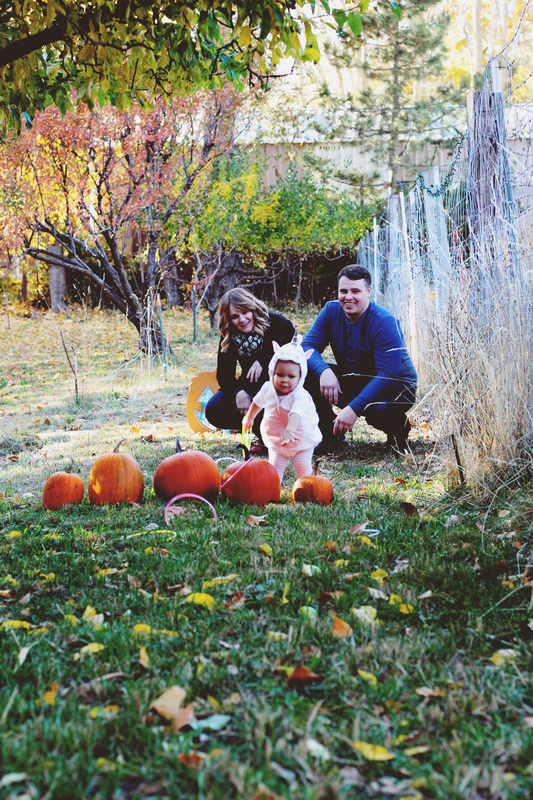 With the few leaves left, it was a perfect autumn/Halloween setting. For tables, I used my favorite vintage door tables that my dad and I made last year, also for the Mad Hatter party. 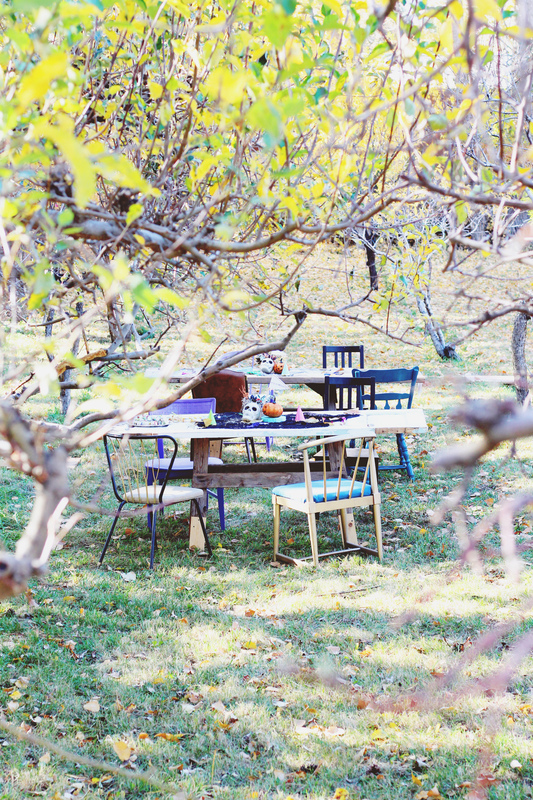 Also similar to that party, I used an array of vintage chairs around the tables. 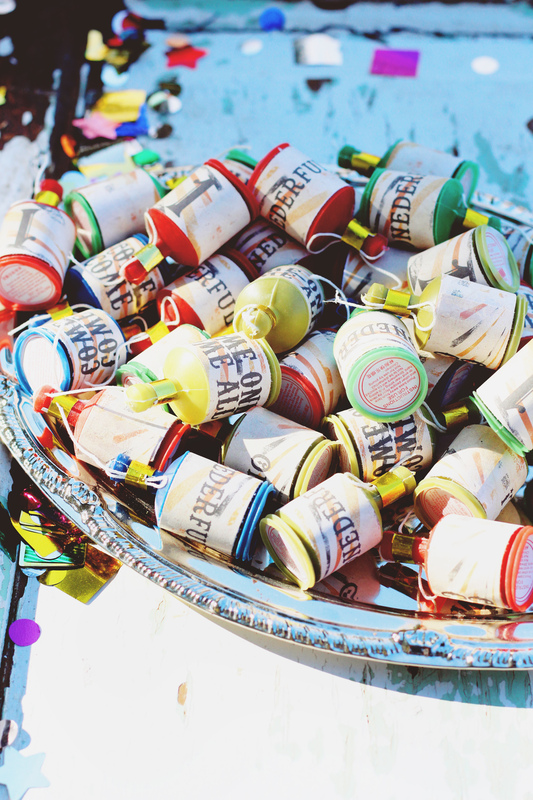 I am in love with the mix of destroyed vintage items and bright, colorful whimsy! The centerpieces were a fun mix of dollar store skulls that I cut into vases and filled with dollar store black flowers, dried eucalyptus, some collected greenery (like my favorite bushes that get those awesome clusters of orange berries in the fall), and Spanish moss. 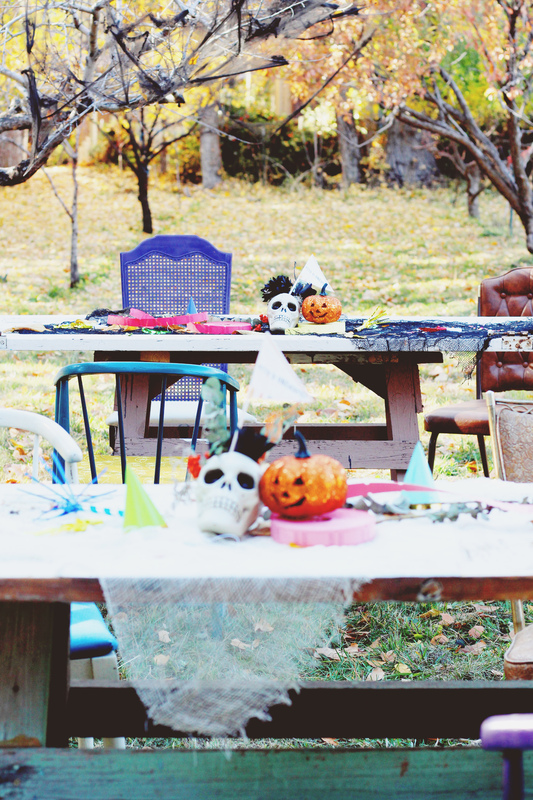 I also used carnival tickets, confetti, little light-up glitter pumpkins, and other birthday party wares all on top of some creepy cloth to deck the tables out! It was a perfect mix of birthday stuff and Halloween stuff! 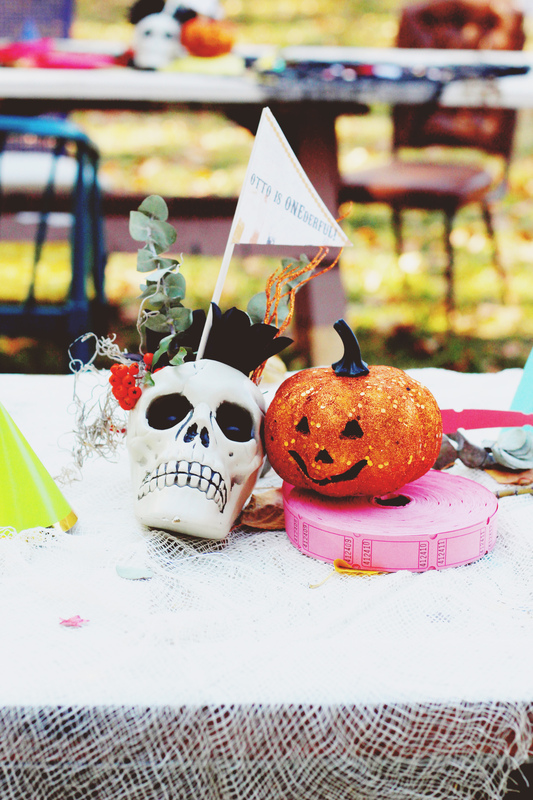 What’s a Halloween carnival birthday party without a photobooth?! I just love doing those! I did a simple black and white set up with a carnival theme. 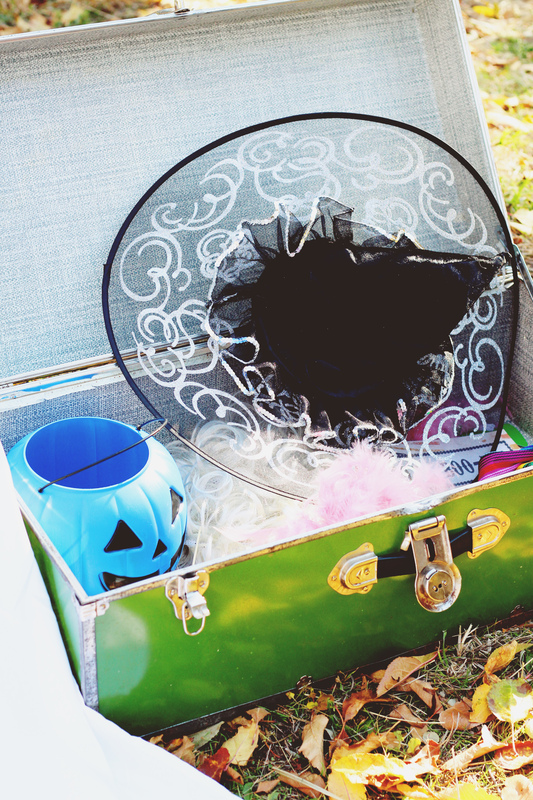 Next to it was a trunk of accessories and props and an Instax camera so guests could take a photo home with them. Honestly, those cameras are the only reason I love to do photo booths so much! Its much better when the guests actually get to take home their photos! 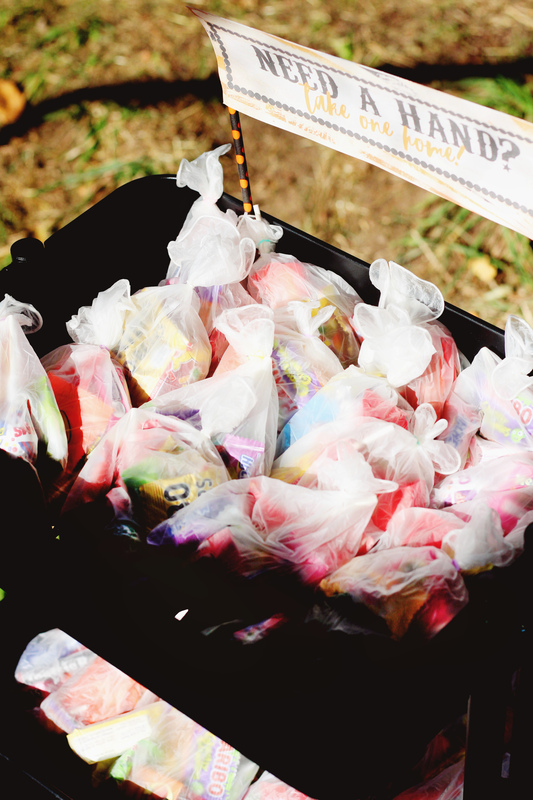 For another party favor, I filled plastic surgeon gloves with an assortment of candy and tied them off with an elastic. I wish I’d gotten a better picture of this little detail. They looked fun and little bit creepy all displayed in a rolling cart with a sign to take a hand home. 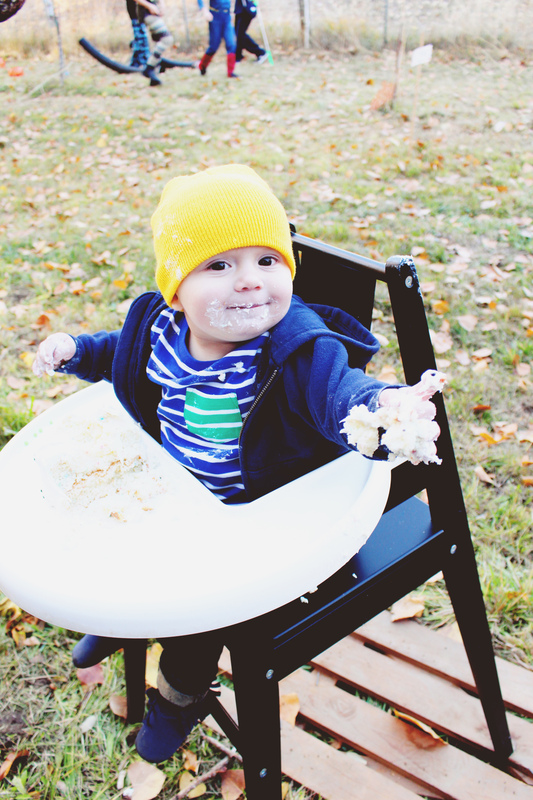 And the cute little birthday boy himself! Who came as a birthday candle in a cake! 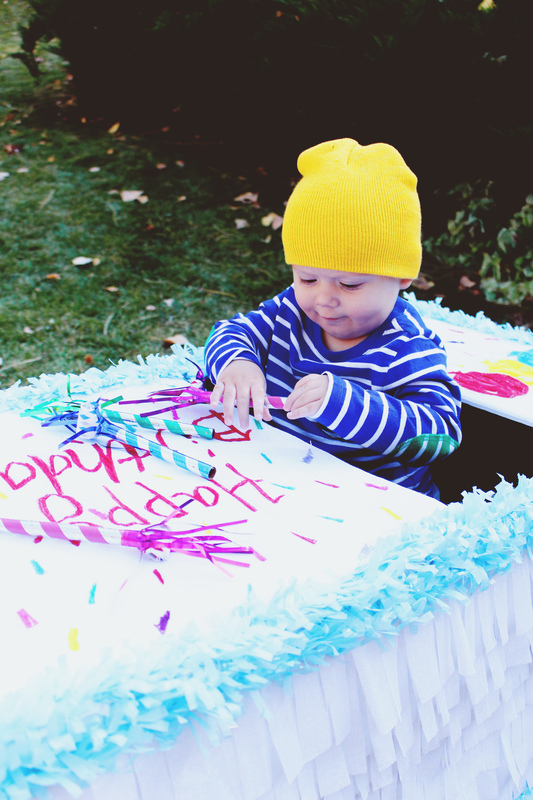 This fun sheet cake wagon costume was a blast for him to ride around in, made trick or treating so much easier, and the DIY for it can be found in our Birthday Party Family Costume post.